All currently admitted William & Mary students interested in a business major or minor must apply for admission to the Undergraduate Business Program. The admission process is competitive. All applications are due by 11:59pm on the deadline date. Prospective William & Mary students and their families are invited to join us on an informational tour (please see Tour schedule). All admission requirements for majors or minors must be met prior to entering the Undergraduate Business Program. Students who started at W&M in the Fall of 2018 or before. W&M Social Freshmen Students who started at W&M in the Fall of 2019 and this is your first year in college (i.e. you graduated high school in the 2018-2019 academic year). This option is best for students who started at W&M with a substantial amount of transfer or AP credit. Transfer Students Transferred to W&M from another college/ university at the start of the Fall 2019 term or will transfer to W&M in the Spring 2020 term. W&M Social Sophomores & Juniors Students who started at W&M before the Fall of 2018. W&M Social Freshmen Students who started at W&M in the Fall of 2018 and this is your first year in college (i.e. you graduated high school in the 2017-2018 academic year). This option is best for students who started at W&M with a substantial amount of transfer or AP credit. Transfer Students * Transferred to W&M from another college/ university at the start of the Spring 2019 term or will transfer to W&M in the Fall 2019 term. There is a 2.5 minimum GPA requirement for applying to this program. Students apply to the program via the "apply/Register" icon on the Global Education Office Global Business Minor Application. More program information can be found here. The undergraduate business school fee allows the Raymond A. Mason School of Business to remain at the forefront of personalized, experience-based business education. 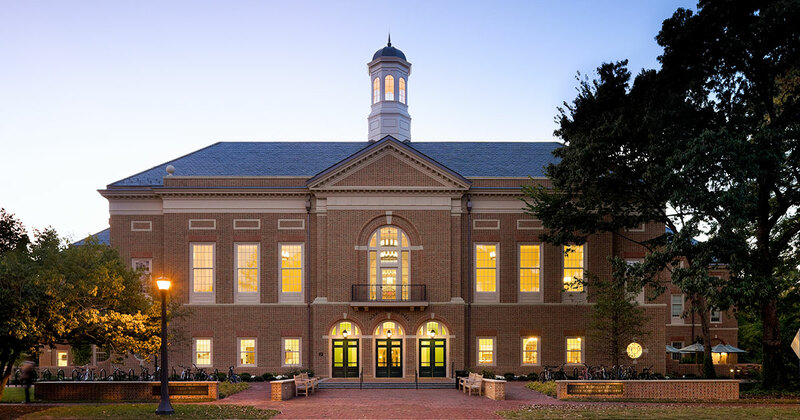 A similar fee can be found at many other nationally-ranked business schools, including other business schools in the Commonwealth of Virginia. Newly admitted undergraduate students declaring a Business major will be charged a $2,500.00 fee per semester and those declaring a Business minor will be charged a $1,250.00 fee per semester.